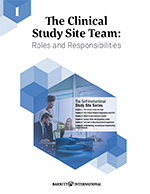 Designed to provide the essentials of roles and responsibilities of the clinical study team as well as the tasks involved, this 6-volume set provides the basics of conducting clinical research in today’s environment. Equipped with exercises and learning activities, each manual can be used as a stand-alone reference or as a complete self-instructional training series. This volume is designed to provide readers with an understanding of the roles, responsibilities, and associated tasks of clinical research team members at investigative sites. 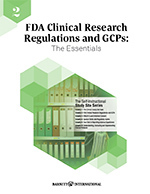 This volume describes the “rules” and “guidelines” developed by regulatory agencies designed to regulate the conduct of clinical research, emphasizing those requirements that most directly impact investigative site teams. 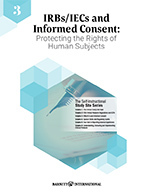 This volume includes what investigative site team members need to know regarding protection of the rights and safety of human subjects. In addition to presenting applicable regulations and practical implications, the roles of the IRB/IEC and the study sponsor are also discussed. Here, the several types of visits to study sites and when they each occur is described. 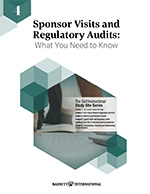 Included are examples and learning exercises designed to prepare study site teams for sponsor visits, study closeout, audits and regulatory inspections. This volume covers how to observe, manage, classify, record and report AEs during clinical studies. It is also intended to familiarize study team members with the many specific procedures required by regulatory agencies to ensure patient safety. 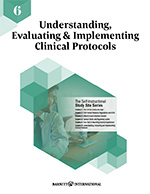 This volume is designed to assist teams in protocol implementation. Included are the features of protocols, evaluation strategies, implementation assessment, as well as basic protocol design and writing. "A common sense, practical introduction to the roles of the study coordinator and investigator. It is excellent preparation for anyone at a research site — or at a study sponsor or CRO — who wants to understand how studies are conducted at sites."